Author Cathy Luchetti with some of her book titles. 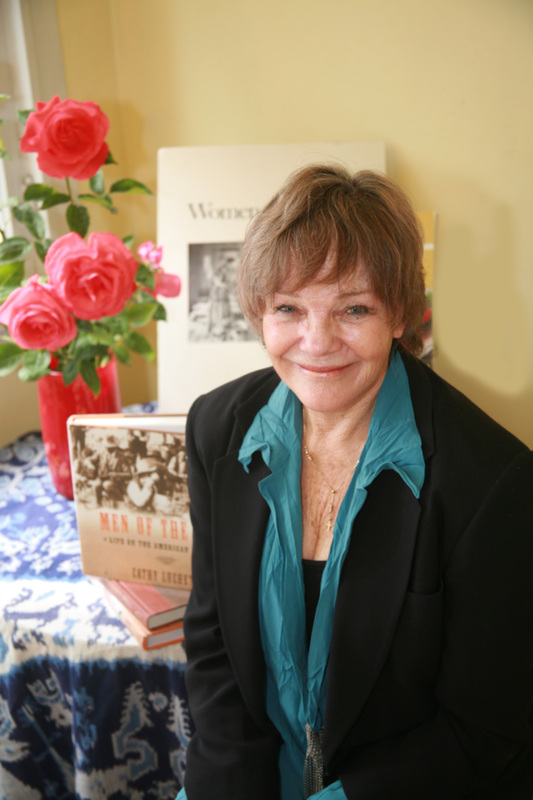 She has written Women of the West, Under God’s Spell, Home on the Range: A Culinary History of the American West, Medicine Women, Children of the West, Men of the West as well as a health cookbook for menopause, The Hot Flash Cookbook. Three have won prestigious national awards: Women of the West, the Pacific Northwest Booksellers Award, Medicine Women, runner-up for the Willa Cather Award, Home on the Range, the James Beard Award for Writings on American Cooking, and The Hot Flash Cookbook, which has won first place in the International Cookbook Contest, Perigeaux, France. Her current book, Skidboot, The Smartest Dog in the World, is based on America’s beloved successor to Rin Tin Tin and Lassie: the dog Skidboot has appeared on Oprah, Letterman, Pet Star and more–his legend lives on. Thanks Carmen for friending the Project Skidboot book/feature film project!!! FOURTH OF JULY FREE Kindle DOWLOAD PROMOTION!!! I knew your parents so well for many years in Santa Fe as my mother and I would go to prayer meetings on Gonzales road. I was in high school but spent 6-8 years at meetings. I am reading a book about Seattle where I grew up now and just googled Myles and found you. Please be in touch. Oh, so nice to hear from you. I was in Santa Fe a year ago and went by the house. My parents remain so close to my heart,and it thrills me that you remember them, and were part of their ministry. I live in Oakland and have for many years. My parents came out here in their last years, so we had much time to reunite and be together. I know the Santa Fe years were defining for them, a wonderful outreach. I hope you are doing well, and thanks so much for writing. Men of the West, page 16, I thought Dawson was in the Yukon? The Dawson I visited was definitely in the Yukon. Is there one in Alaska as well? Good book, interesting reading, great photos.